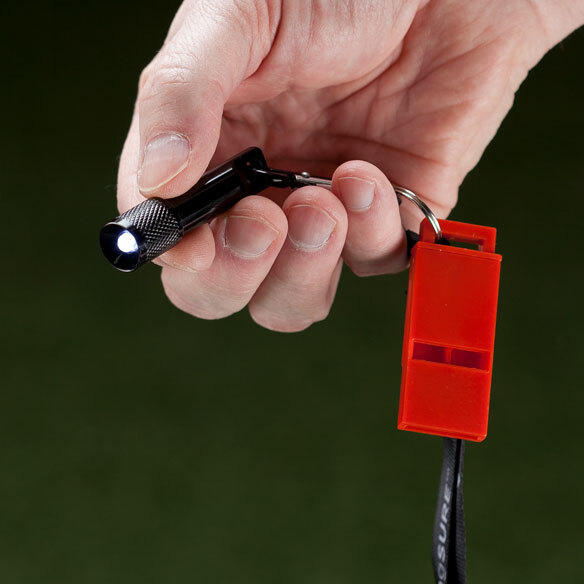 Our loudest safety whistle yet now comes with an LED mini flashlight and 18" lanyard. 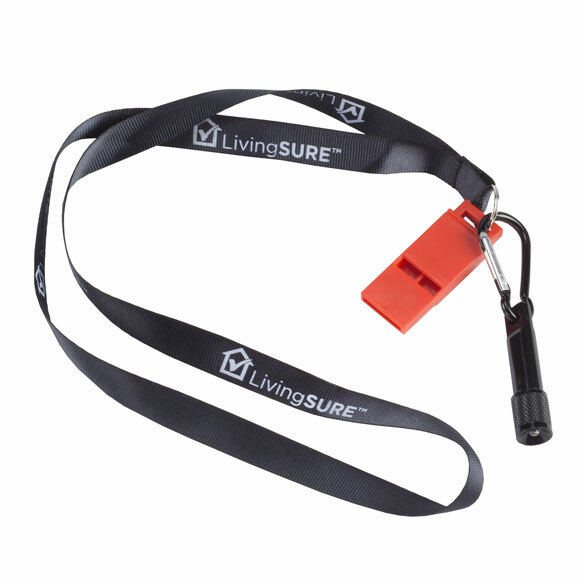 Originally developed for the U.S. Navy, this powerful deluxe emergency whistle by LivingSURE™ is one of the loudest. Even when wet, it emits a loud, piercing sound that can be heard from great distances, so you'll be heard in an emergency. 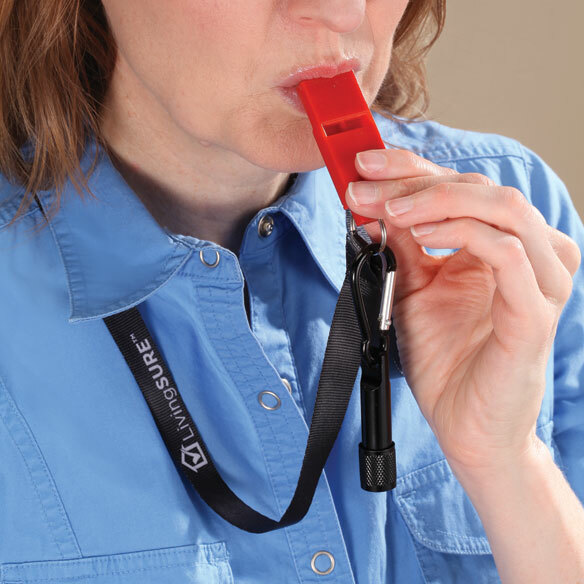 One of the loudest survival whistles you can buy. 84–114 decibels, depending on user strength. LED mini flashlight helps you see in an emergency. I will be sending them back. I bought three for playground use at my daycare, but not loud enough for super loud children. For a daughter who walks her dog early morning. would be a way he could call for help, if needed. For some protection during dog and exercise walks.